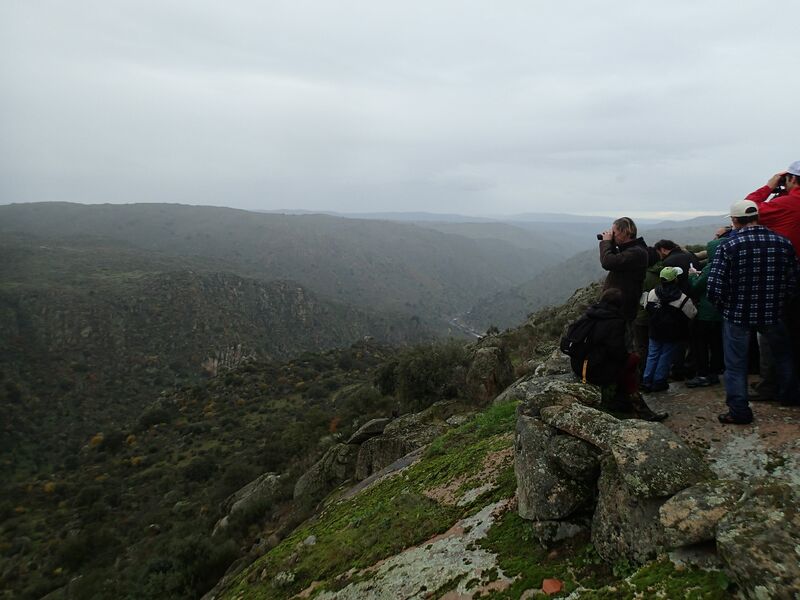 From 25 November to 15 December 2014, eleven local entrepreneurs in the Western Iberia rewilding area received specialised training for guiding tourists in the Faia Brava reserve. The main attendees were owners of local rural houses and tour operators, as well as several individuals from the region who have dreamt to become nature guides. 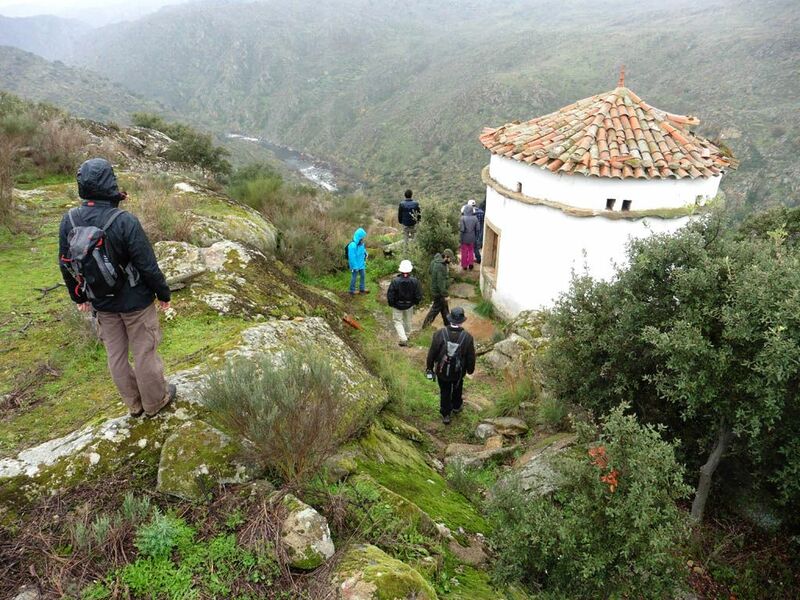 Training for local entrepreneurs in the Western Iberia rewilding area. The reserve, the first ever private protected area in Portugal, is owned and managed by Associação Transumância e Natureza (ATN), Rewilding Europe’s local partner that works hard on creating an attractive “model” of how a rewilded site could successfully function. Over the last decades Faia Brava, which havers plenty of endangered species like the Egyptian vulture and the Bonelli’s eagle, has become one of the main attraction of this Portuguese region. Birdwatching, guided tours and photography from a special hide at a vulture feeding station are attracting tourists from all over the world. As a result of the conservation success, the tourist interest in the Reserve also grew and professionally trained nature guides have become a must for the further development of this area. During this first edition of the tourism training in Faia Brava, fauna and flora, geology, archaeology and nature conservation were the main topics presented to the future nature guides complemented with important lecturers from the Côa Valley Archaeological Park, a partner in this initiative. The workshop combined both, theoretical sessions and field expeditions with a practical training at the Reserve. It is a pioneering idea for Portugal initiative and as such it was presented in television reportage of the Channel RTP1. “I’d like to offer to my clients the opportunity of exploring an area with an important natural value, besides the archaeological and historical heritage which I already show them when we do visits in the area,” says Miguel Torres, the owner of Quinta de Pêro Martins, which is the nearest to Faia Brava rural house. “We are creating new opportunities for nature to comeback to this valley, and for people and entrepreneurs who believe in the region as well,” says Pedro Prata, Team Leader of the Western Iberia rewilding area and Executive Coordinator of ATN. Creating a network of local entrepreneurs and supporting the development of new businesses related to nature and wildlife are among the ATN’s strategic goals developed with the support of the Rewilding Europe Capital (REC). So far, one rural house has received a REC loan. In 2015, two new projects will be launched in the Western Iberia rewilding area with the REC support.